The teaser of Shankar's 2.0 is yet-to-be-released, but the film started minting money for its producer Subaskaran Allirajah, chairman and founder of Lyca Mobile/Productions, The film, a sequel to the 2010 Tamil blockbuster Enthiran, stars Rajinikanth and Akshay Kumar. 2.0 was recently in news when the Tamil, Telugu, Hindi satellite rights of the film sold for an all India record price to Zee TV. The Hindi theatrical rights of 2.0 have been sold for Rs. 80 crore, which is highest ever in Rajinikanth and Shankar's career. It's a massive price considering that the box office collections of 2.0's prequel, the 2010 release Enthiran in North India was Rs. 22 crore. The demand for South films post the Baahubali 2 success and the presence of Akshay Kumar has worked in favour of the makers to earn a good amount of money from the North India. 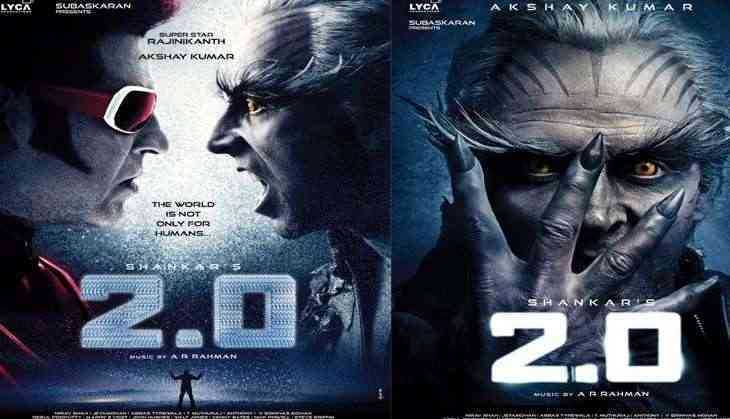 2.0 is also the Tamil debut of Akshay Kumar, who plays the main villain. The film also stars Amy Jackson, Adil Hussain, Kalabhavan Shajon and Riyaz Khan. 2.0 will be releasing in both Hindi and Tamil in 2017. Don't make fun of Rahul Gandhi's Italy trip: What was he doing here anyway?